Use this design sheet to help you create the perfect coastal landscape. You'll get ideas for color, décor, materials, plants and fabric. It is a great starting point for any landscaping project. Patio - areas are great in coastal gardens; especially when the home has an ocean or coastal view. Most landscapes on the coast will be taken full advantage of in the summer months, so be sure to include a nice entertainment space that will act as an extension of your home. A Dry creek - curving through native plantings and grasses will not only attract wildlife but contribute to the organic form in the coastal garden. Seating areas - or benches should be places throughout the landscape where they will be protected from heavy winds. Movement - is a critical with all elements within the design. Select plants and décor that will move freely on the ocean breezes. 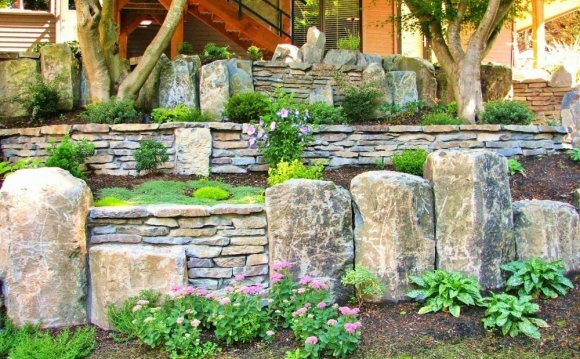 Stiff, rugged looking plants will look out of place and take away from the natural scenery.